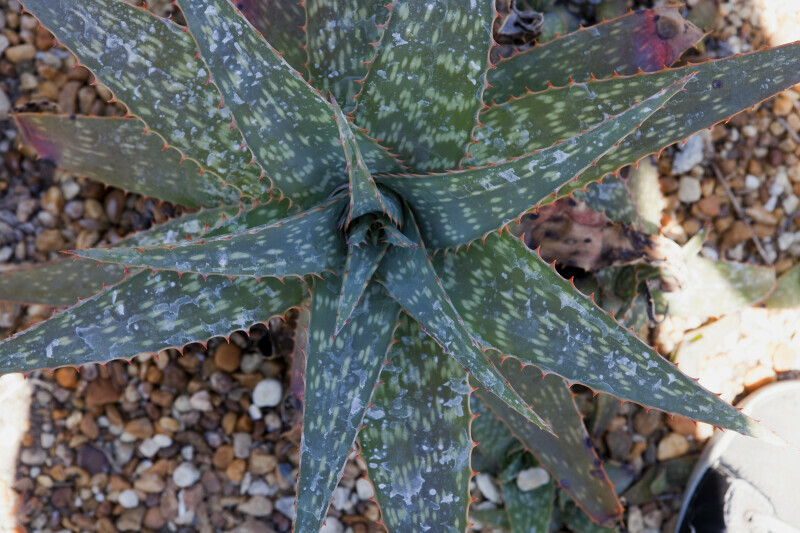 View from above of an Aloe dyeri with green, pointed, succulent leaves that have red thorns running along their sides. This plant is featured at the Fairchild Tropical Botanical Garden. WARNING: You are about to download a 31.3 MB TIFF!